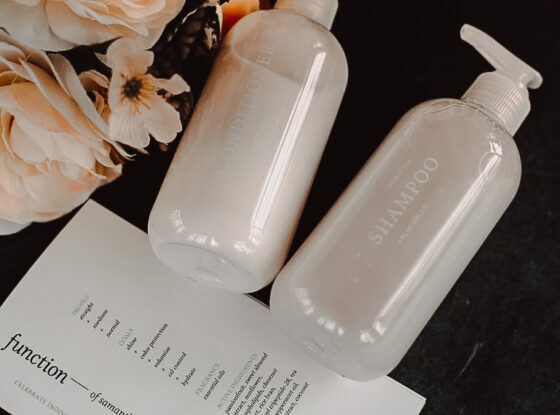 12 billion shampoo combinations…which is best for you? My hair needs change. All. The. Time. I find myself reaching for highly moisturizing shampoos in the winter and cleansing, light shampoos in the summer. But what about the color and heat protection? Oh, and volume? And literally ALL the hair goals? Shampoos always seem to do one or two things on my list, but never everything. Hence why my bathroom cabinet is overflowing with hair products. 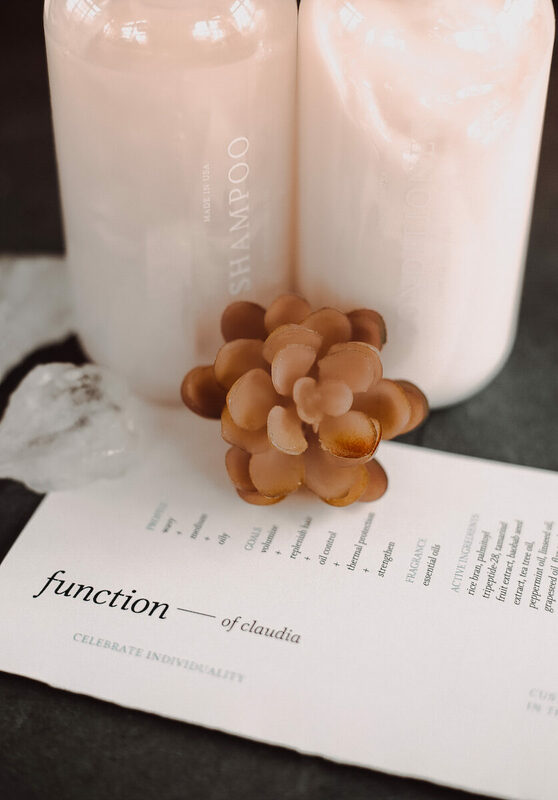 A Function of Beauty ad popped up on my Facebook one day showing personalized shampoo and conditioner where YOU choose the ingredients best fit to meet your hair goals…sign me up. I wasn’t going into this alone, though. I brought Claudia with me…duh! After filling out our hair quizzes we were giddy for some magical hair improvements! This shampoo experimentation didn’t start in the shower. It started online! The quiz and ordering process was easy and thorough. You’re asked your hair type, hair structure and scalp moisture. Once the base is set, you choose a maximum of five hair goals from a list of 17 (including deep condition, replenish hair, fix split ends, strengthen, hydrate, lengthen, volumize, color protection, thermal protection, anti-aging, anti-frizz, curl definition, shine, straighten, nourish roots, oil control, and soothe scalp). Next, you choose the color you want your shampoo and conditioner to be (We skipped this and went dye free!). Then after choosing your fragrance and its strength, you’re set to order! Easy-peasy, lemon squeezy. From a packaging and experience standpoint, Function of Beauty is perfect. Each bottle is labeled with your name and the box is a pretty Tiffany blue! In each package you receive two bottles with twist off caps and pumps to replace them with. 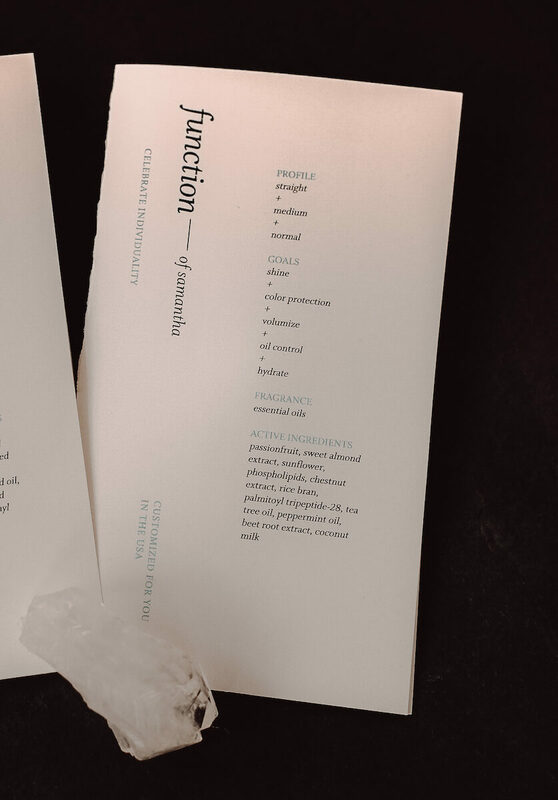 You also get a little card that reminds you of what you ordered and the ingredients that are helping you to meet those hair goals. So…how does Function of Beauty work? So what you’re really here for…after all that…is to know if the shampoo is worth it. To me, yes! When I first made the switch to Function, the weather was dry and I didn’t select a strong enough moisturizer. I only chose “hydrate” as opposed to “deep condition.” Which might have led to my immediate dissatisfaction and my reversal back to Moroccan Oil for the remainder of the winter season. 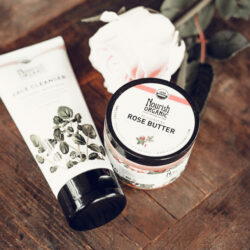 We finally experienced warmth in Michigan (a rarity), the air became a little more humid, and I put Function of Beauty back in my shower since Moroccan Oil was starting to feel a little heavy. Now I’m in LOVE with this shampoo and conditioner. My hair is light, clean, moisturized, and shiny. Everything I wanted. Going forward, I’ll definitely be customizing my order according to the season since my hair seems to be extra sensitive to that! Good news is, if I pick something wrong, they have great customer service that will help me find the right solution. Just ask Claudia. My experience was very different than Sam’s. 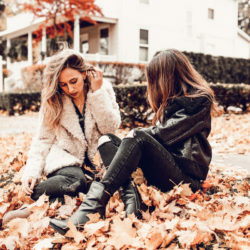 Even though we seem to be #twinsies is every way possible, we did differ when it came to Function of Beauty – as it should be being that it’s a truly personalized solution! I emailed their customer service to see if they could help me come up with a new formula, and after I explained the #majorfails of the first combination, they whipped me up a new one and had it shipped to me for free. Great customer service makes ALL the difference! The new combination was different by one hair goal: they replaced “strengthen” with “anti-aging”. Ummmm what?! This was definitely not a goal I would have thought to add to my combination…hence why maybe I needed the help of a professional to pick the right elements to begin with. I really, REALLY wanted to like the new set of shampoo and conditioner they sent me, but sadly this one wasn’t much better. My scalp was slightly less oily but I still did not have that light bounce I get from my normal shampoo. I’ve gone to the other end of the spectrum and am now using good ‘ole Pantene Classic Clean. I know, I know. It’s not the best in terms of ingredients but it WORKS! It all goes back to the beginning, the whole reason why we clicked the ad to start: personalization. Function of Beauty has taken a MAJOR problem in the haircare industry and revolutionized it. As far as experience goes, they’ve nailed it. The only thing is it’s not easy to satisfy every person’s hair goals! 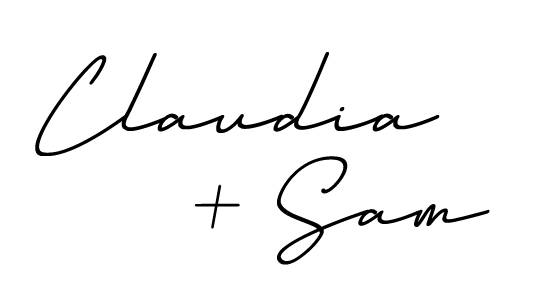 With Claudia and I having different experiences, we definitely can attest to that. Everything isn’t going to work for everyone, right? Since my hair is in tip-top shape this summer thanks to Function of Beauty and their customer service was top-notch for Claudia, they will definitely receive a 8/10!